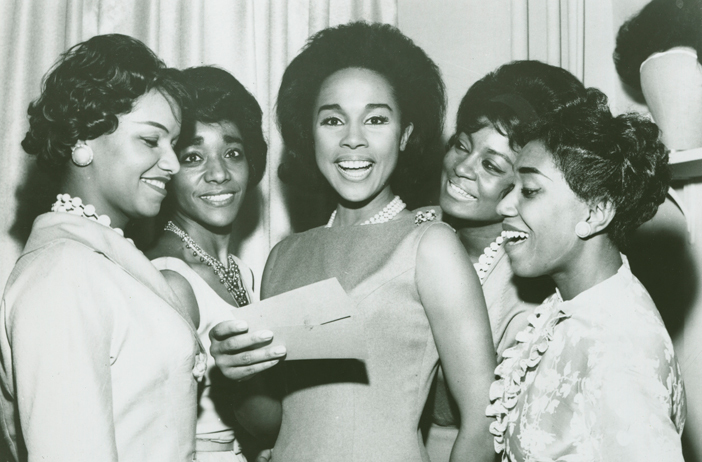 Diahann Carroll (center), pictured with charm school students in this undated photo, started her career as a Grace del Marco model. A modeling shot of Ophelia DeVore from the 1940s. In this photo dated 1951, DeVore served as co-host of "Spotlight on Harlem" with Ralph Cooper. Ophelia DeVore was a model-turned-entrepreneur, launching a modeling agency, charm school and cosmetics line, and taking the helm of the Columbus Times in Columbus, Ga., after her husband's death. She remains the paper's owner today. 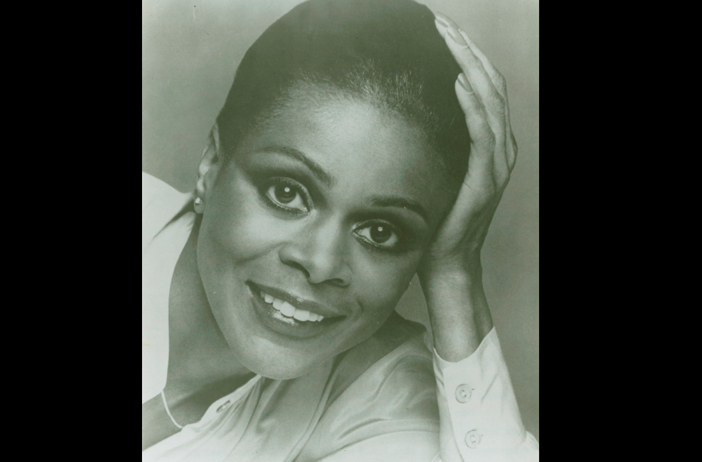 Cicely Tyson also got her start as a Grace del Marco model. 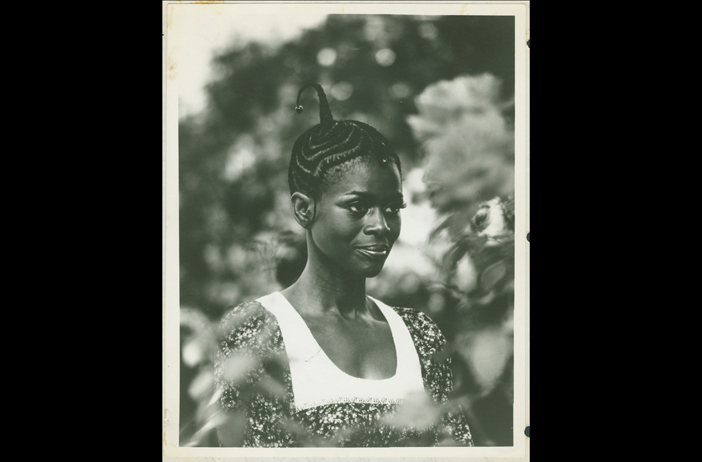 Cicely Tyson in an undated photo. 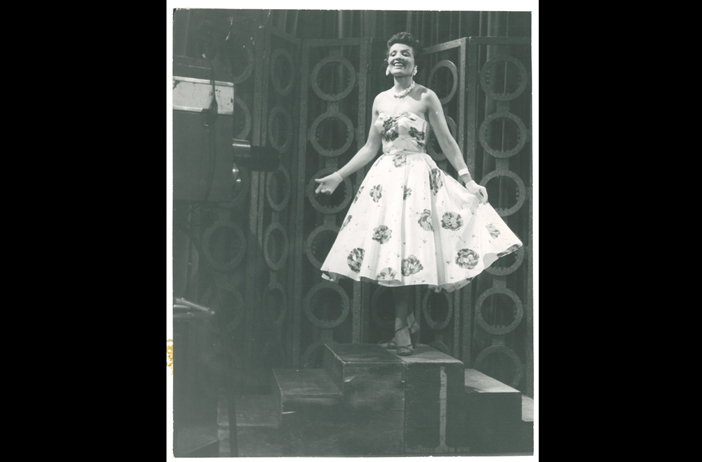 Credit for all photos: Ophelia DeVore papers, MARBL, Emory University. 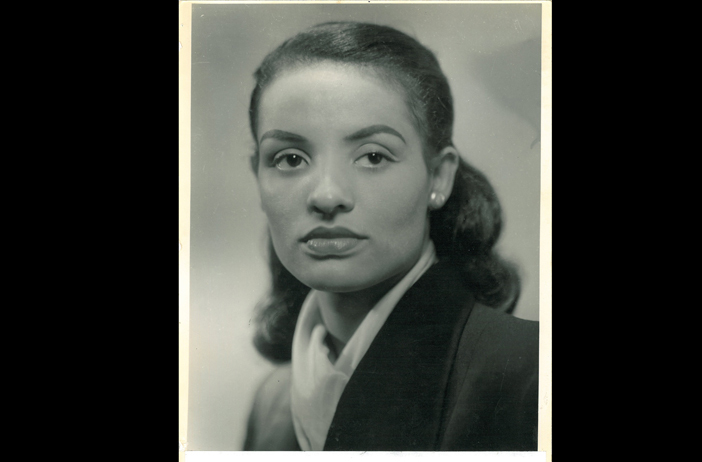 Ophelia DeVore Mitchell, a model, businesswoman and pioneer in the "black is beautiful" movement, has placed her papers at Emory University's Manuscript, Archives, and Rare Book Library (MARBL). DeVore exemplified power, pride, presence and beauty in African American women. A former model and longtime business executive, she started one of the first modeling agencies for black models, which helped launch the early careers of actresses Diahann Carroll and Cicely Tyson, among other celebrities. DeVore also opened a charm school for young black women to learn etiquette, self-presentation and confidence; launched a cosmetics company catering to African American women, and took over the Columbus Times, a daily newspaper for the African American community in Columbus, Ga., which she still owns today. She was appointed by President Reagan to the John F. Kennedy Center Committee on the Arts in 1985 and has been involved in many community programs throughout her career. Randall K. Burkett, curator of African American Collections at MARBL, says the collection represents black pride for women. DeVore's charm school taught women how to present themselves confidently, allowing them to set and achieve higher goals for themselves and expect equal treatment and opportunities. The school counts as its alumni entrepreneurs, businesswomen, actresses, models, news correspondents, judges, doctors, and a New York City chef and restaurant owner, among others. "What she was communicating, through all of her enterprises, is that you have to see yourself as a beautiful person, as a person of authority and confidence," Burkett says. One of the first mixed-race models in the United States, DeVore was born in Edgefield, S.C., in 1922, to parents of German, French, Native American and African American heritage. In 1933, DeVore was sent to New York City to live with her aunt and complete her education. She graduated from Hunter College High School and attended New York University. DeVore began modeling in 1938 at the age of 16, working primarily for Ebony magazine. In 1946, she and four friends co-founded Grace del Marco Models; in addition to Diahann Carroll and Cicely Tyson, the agency represented such notable figures as Richard Roundtree ("Shaft"), Gail Fisher ("Mannix"); Trudy Haynes, one of the first African American female TV reporters; and Helen Williams, one of the first successful African American models. The agency sought to encourage the media to portray African Americans in non-stereotypical ways. DeVore took on mainstream publications, advertisers and other agencies who avoided hiring African American models, and she was a tough businesswoman proud of her accomplishments. She once sued Life Magazine after it published a story in 1969 on black models for which she was interviewed; the resulting article cited white-owned agencies instead. The Ophelia DeVore School of Charm, which opened in 1948, offered social training for African American young women. It provided lessons in etiquette, poise and posture, ballet, speech, and self-presentation (including grooming lessons in hair styling, applying makeup, and dressing in flattering clothes). Hip-hop artist Faith Evans, widow of the Notorious B.I.G., is one of many notable graduates. The school, which closed in 2006, reached its peak between the 1960s and the 1990s, and at times graduated about 100 students in a class, says James D. Carter, DeVore's son, who took over the charm school for a number of years and ran other aspects of various DeVore businesses. "In the early years, when my mother started the cosmetics line and she was grooming students for modeling and handling black talent as models, she was pretty much the only one doing it," Carter says. "It wasn't until the early '70s that people started getting a sense of how marketable black talent was and how to sell to the black population, and that other agencies started managing black models and handling talent." MaryLouise Patterson, a retired pediatrician, recalls attending the charm school around 1956, when she was a young teen. She says jokingly that her mother probably sent her to get her out of the house on a Saturday, but also to learn poise, correct posture and elegant movement. (Her mother is the late Louise Thompson Patterson, friend of several Harlem Renaissance literary figures, social activist and member of the American Communist Party, whose papers are also held by MARBL.) Actress Beah Richards, who lived with them while she performed in plays at the time, also taught ballet at the charm school, so young Patterson tagged along with her for about a year. "It was learning how to move your body through space, how to control it and use it – you don't just plop down on a seat," Patterson recalls of her time at DeVore's charm school. "We learned how to walk, how to turn around, how to sit, how to fold your skirt down." More than 50 years later, Patterson, who took additional dance classes aside from those at the charm school, still gets compliments on her posture. "It wasn't like we were being taught how to set a table or serve tea the way British ladies were – that wasn't what Ms. DeVore was teaching," she says. "It was really more about movement and presentation." DeVore had five children with her first husband, Harold Carter, whom she married in 1941. She married her second husband, Columbus Times publisher Vernon Mitchell, in 1968. When he passed away in 1972, she took the newspaper's helm and continues today as its owner, with her daughter, Carol Gertjegerdes, as co-publisher and executive editor. DeVore lives in New York City. 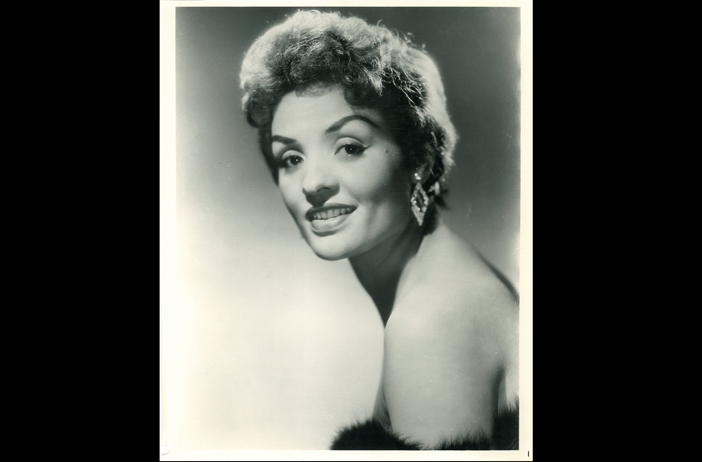 The Ophelia DeVore Mitchell papers are unprocessed but open to researchers and the public. The collection includes correspondence, professional papers, business records, photographs, scrapbooks, audiovisual material and printed matter relating to her various businesses and community programs in which she was involved. To make arrangements to work with the collection, send an email to marbl@emory.edu.